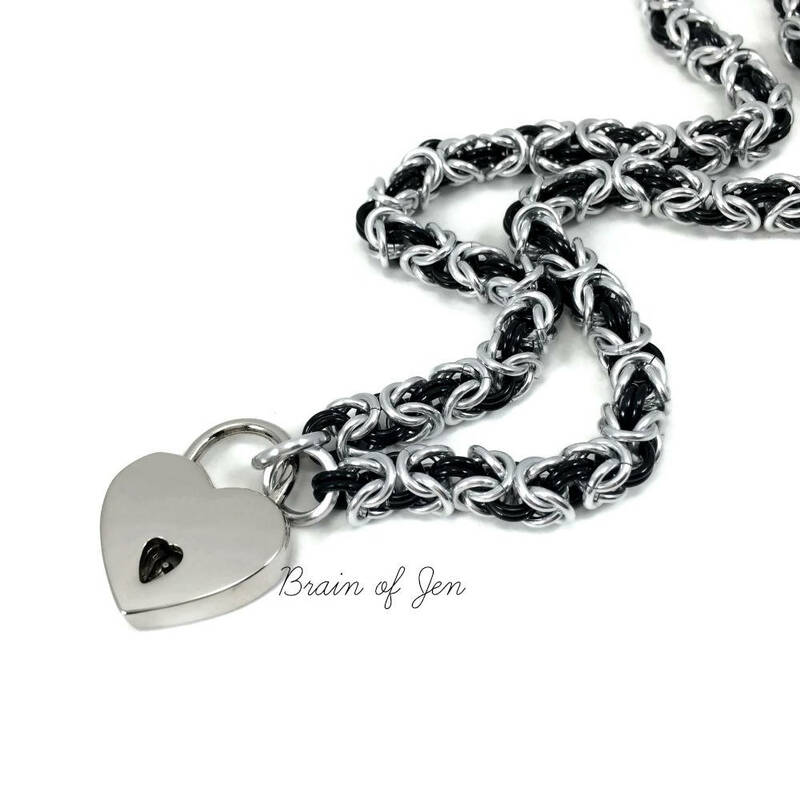 This versatile and discreet chainmail submissive collar is made by hand using jet black and shining silver anodized aluminum rings in a Byzantine weave, with a small polished nickel silver heart shaped padlock closure at the front. 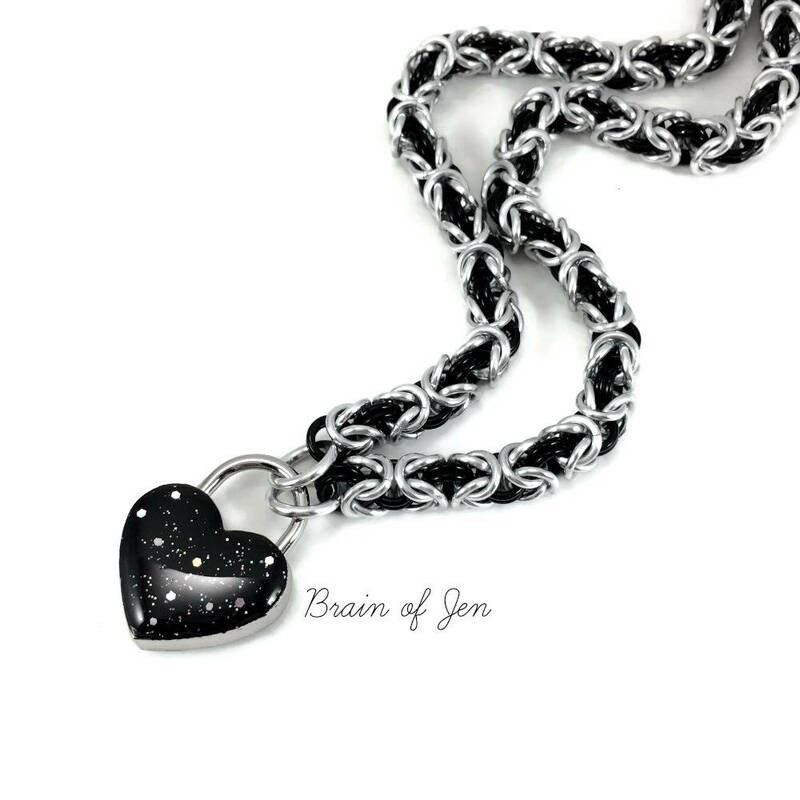 The lock is reversible, you can have the heart shaped keyhole showing at the front, or flip it over to reveal the back which has been decorated with a gorgeous black resin and just a hint glitter to catch the light, giving the effect of stars twinkling in the night sky. 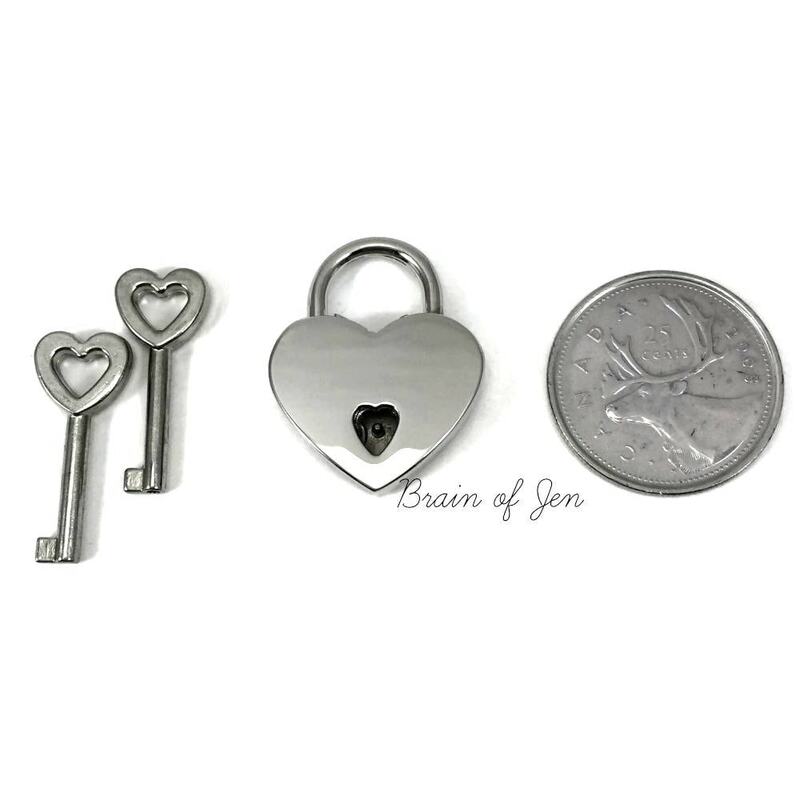 The lock measures 20 mm, and comes with two keys. I love it! It even came a week earlier than expected! First off I love this collar! It was way lighter and more comfortable than I was expecting it to be. When I first ordered it I took measurements of my neck which is about 14 inches I went a few inches bigger than that, but when I received it had a little more slack than I thought it would sense the material is so light. 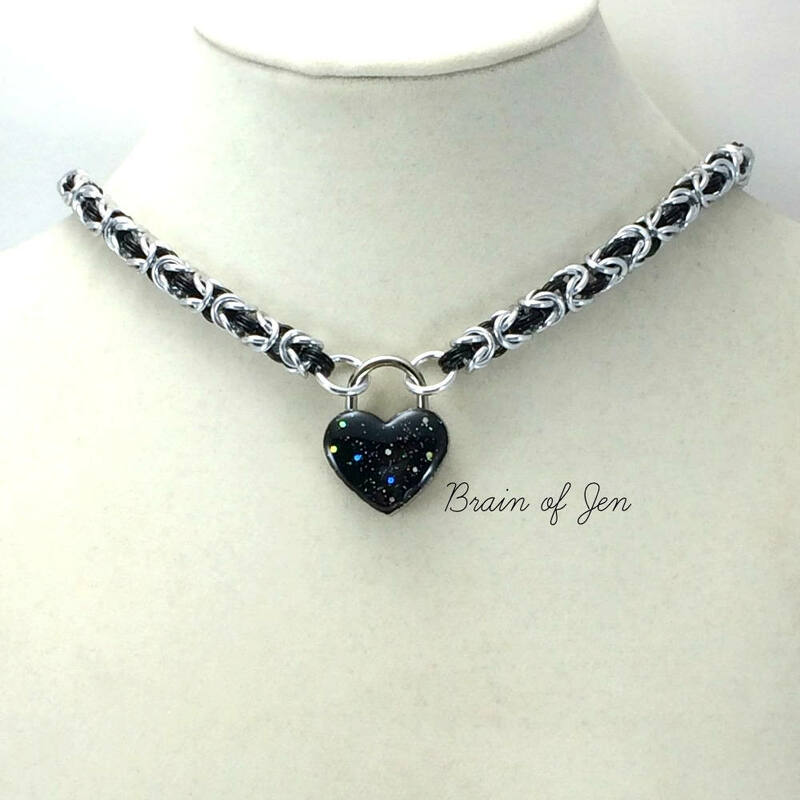 I contacted Jen about possibly sending it back and having it altered, she was super nice, helpful, and didn't have a problem changing it for me. I'm so greatful that she didn't mind altering the size for me and I can't wait to get it back! 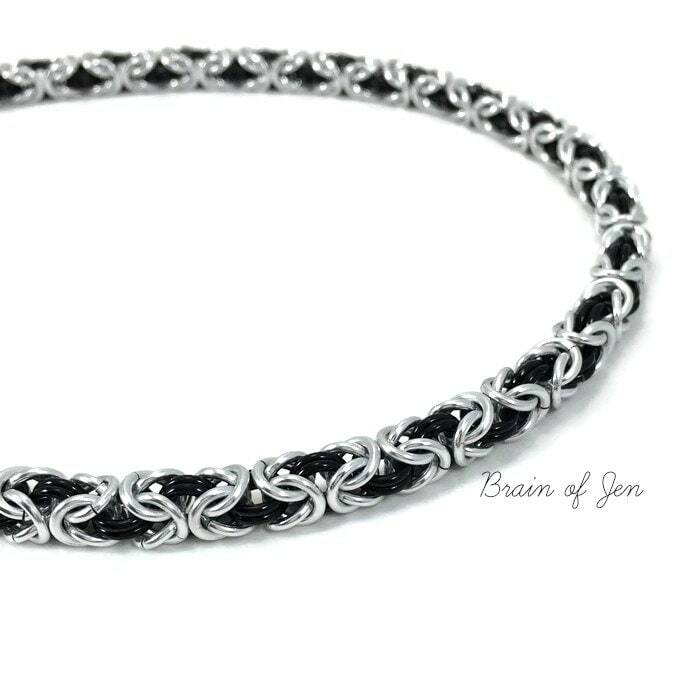 With that being said the material is wicked nice, but it is light so if you want it to be more of a choker almost I would go a little shorter on the length based on your measurements. This item is exactly as described. My slave girl wears her new collar 24/7 (minus the few minutes each week she cleans it) she enjoys the light weight and elegant look. Absolutely no complaints about this product. Furthermore, communication with the seller was spot on. Questions were answered very quickly, as well as professionally. Item was shipped on date promised, and it arrived shortly thereafter. 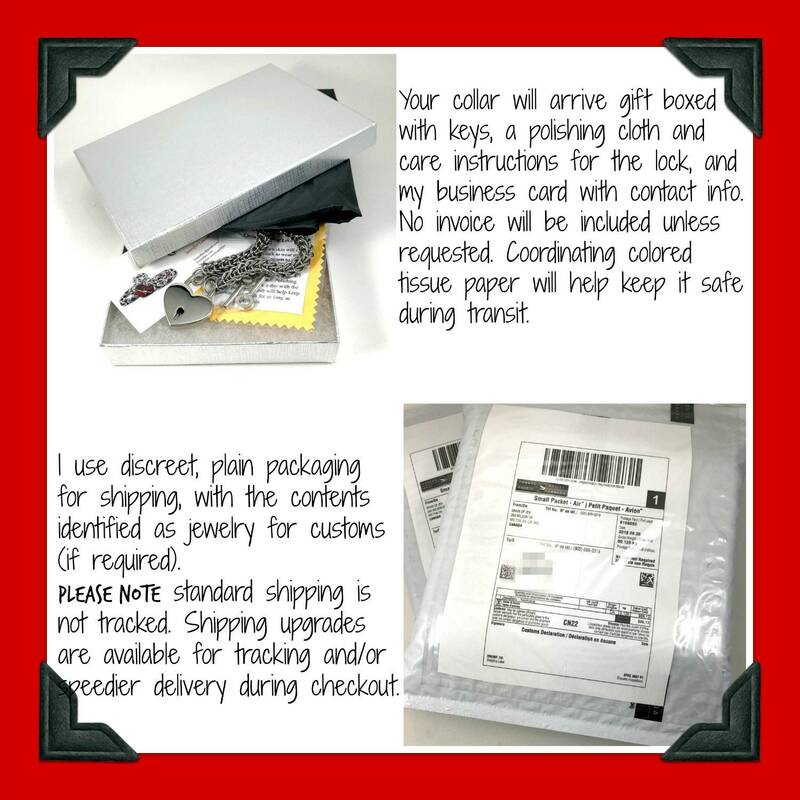 Item was packaged with care. 10/10 would do business with again.